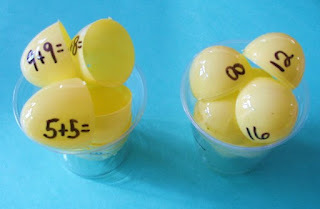 Here's a fun Math Activity that helps children develop fluency with math facts. All you need is some inexpensive plastic eggs and a permanent marker. 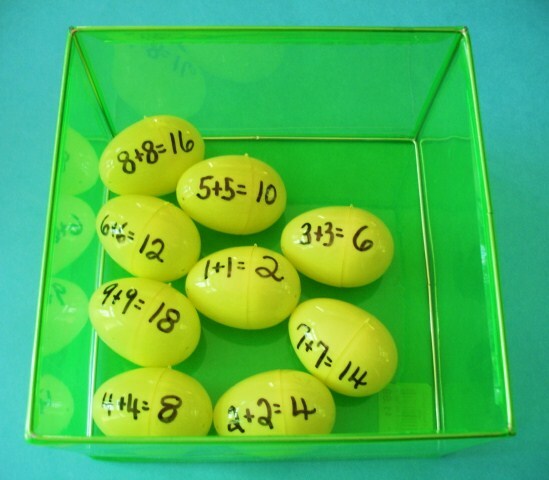 On one half of a plastic egg you need to write the ADDENDS in a number sentence and on the other half of the egg you complete the Number Sentence with the SUM (answer). Next separate the 2 parts of the plastic eggs, mix them up, and have the kids put them back together making the accurate Number Sentences. This set uses Addition Doubles but you could include any facts that your students need to practice to develop math fluency. It also works with any of the other OPERATIONS (subtraction, multiplication and division). 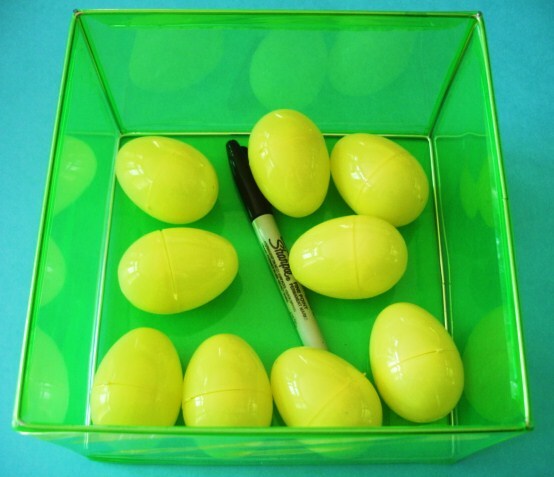 Lots of the plastic eggs are on sale after Easter! Thank you Ticia! Happy Easter to you and your family. I love this activity! It is a fun way to practice math. Thanks for sharing. Great idea!! I love it. Thank you for sharing at Sharing Saturday!! I hope you are having a great week!